Each iPad app is centered around a time period, in the case of these two it is the Jurassic & Triassic. 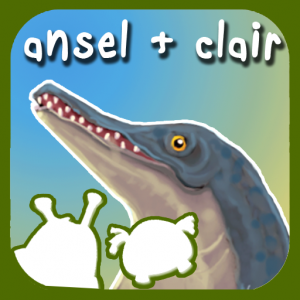 Ansel & Clair also has a third dinosaur app centered around the Cretaceous period. Ansel & Clair are a travel photographer and robot respectively who deliever informative dialog from their own unique personalities. They travel the world together exploring and taking photographs. You can dig for fossils and put them together in a puzzle like format and then take that dinosaur skeleton back to its time period to see what it was like when it lived. 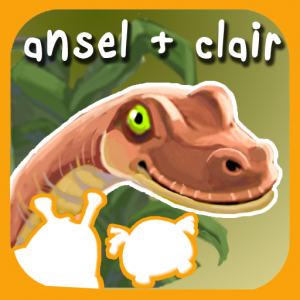 Ansel & Clair apps offer both the education I love and the entertainment she is looking for! 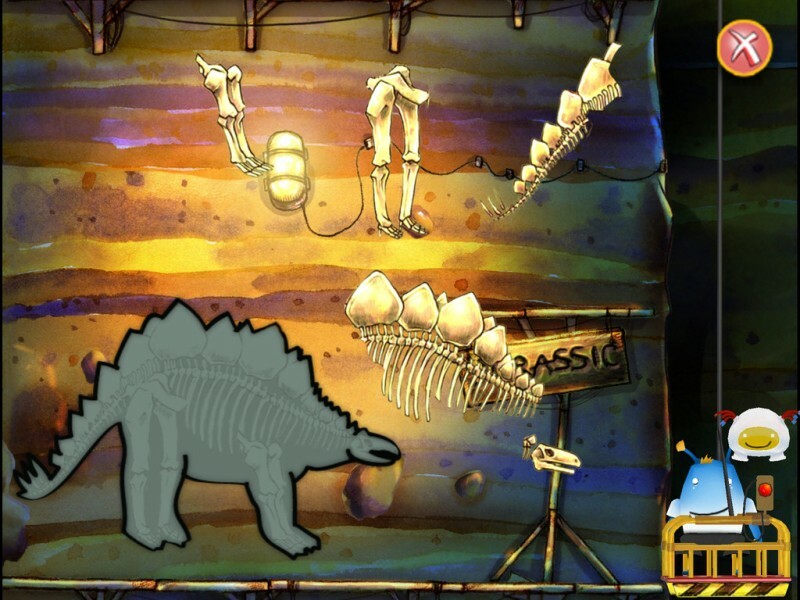 While exploring the time periods from which your dinosaur came you can take photos, make notes, and collect stickers. You can interact with the dinosaurs by doing things like creating movement and encouraging them to eat. To see more screenshots as well as videos of the these apps in action, head over to the Ansel & Clair App Page and select the app you would like to see. Ever since Ava was really little she has loved dinosaurs. From documentaries, to Land Before Time and Dinosaur Train. While looking for toys, games, videos, etc. for her I have always tried to keep to things that are as realistic as possible. 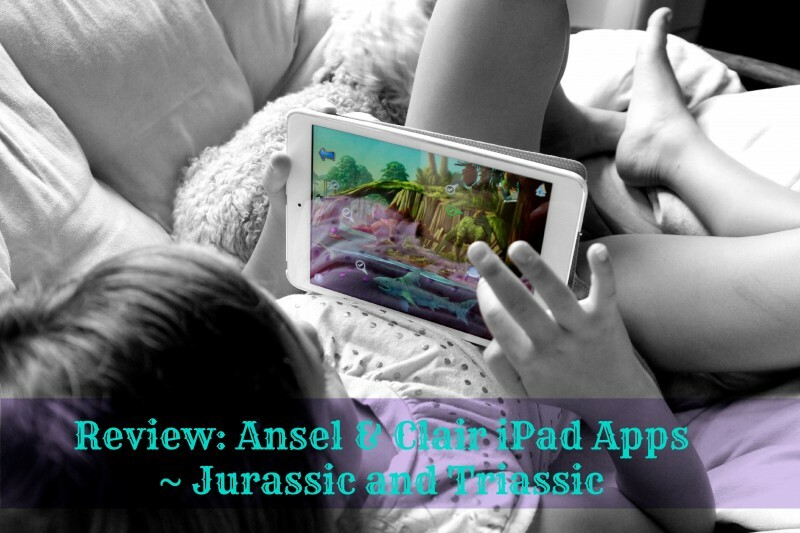 These Ansel & Clair apps offer both the education I love and the entertainment she is looking for. One of her favorite things to do in these apps is to travel back to the time period to interact with and take photos of all the dinosaurs. 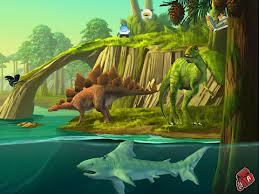 These apps are information and creative fun packed, and one of the best parts is their affordable price of just $1.99 per app in the Dinosaur Trilogy (Cretaceous, Jurassic, Triassic).